Cleveland's public hospital system is in the process of transforming its main campus. The MetroHealth System will spend hundreds of millions of dollars on improvements to its 52-acre campus and continue working with community partners to improve the entire West 25th Street Corridor. And when hospital leaders talk about the project, they typically go beyond bricks and mortar, and even beyond economic development. They talk about a healthier community, lower infant mortality rates, improved outcomes for citizens, along with jobs and a better looking neighborhood. What will it take to revive and revitalize a community? Who are the players? What role do corporations and anchor institutions play? And how do you pursue relationships that catalyze all facets of the project? 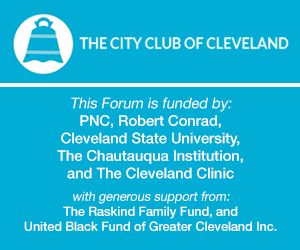 Join us for a conversation with Akram Boutros, M.D., President and CEO of The MetroHealth System, and Councilman Joe Cimperman on current efforts underway to revitalize Cleveland's west side.